Who is migrating to South Australia right now? Where are migrants coming from, and why? How is migration experienced? How does government policy shape migration journeys? These simple questions have very complex answers. Patterns of migration to South Australia have changed significantly in the last fifteen years, the most dramatic being temporary migration overtaking permanent migration. The countries from which we draw migrants, both temporary and permanent, have changed, with India, China and the United Kingdom now our major source countries. Recent geopolitical events have impacted on Australia’s treatment and acceptance of refugees and asylum seekers. ALL school visits must be booked in advance. To book a visit please contact the Migration Museum. Please note that all bookings must be made by phone. For more information and to discuss your student learning needs please contact the Education Manager at the Migration Museum. 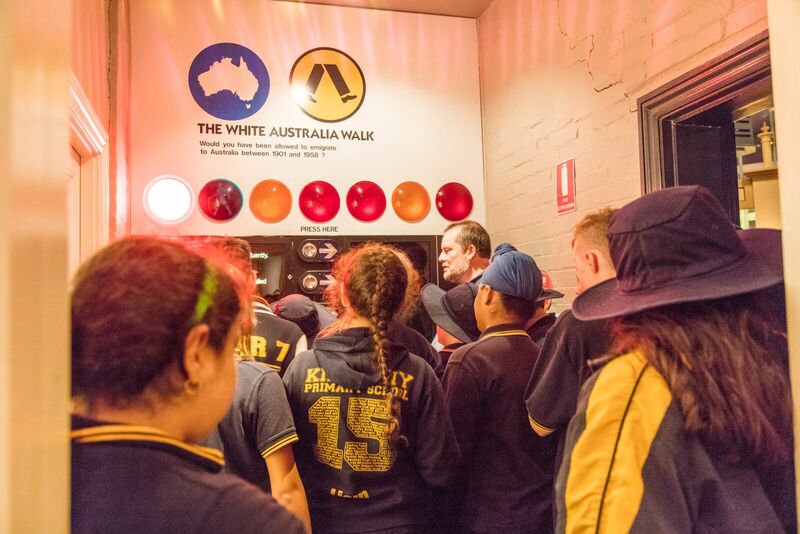 Click below and scroll to the bottom of the page to subscribe to the Migration Museum's eNews for all the latest information on learning programs, special events, professional learning opportunities and much more.